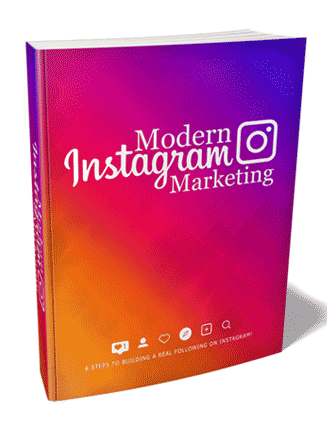 Modern Instagram Marketing Ebook and Videos package includes all you need to profit from the social media platform with upsell and you get master resale rights. Instagram presents a massive traffic opportunity for marketers. It is huge. How big is Instagram? Well, in June 2018, Instagram reached the 1 Billion user milestone. Think about that for a second. A lot of other platforms like Facebook, Twitter and Snapchat are suffering from lagging growth rates. Instagram, on the other hand, continues to grow and shows no signs of slowing down. In fact, when it comes to actual daily usage, Instagram leaves other larger platforms in the dust. These other platforms may have a lot more users, but in terms of daily use, Instagram can boast of over 500 million users. That’s right, 500 million Instagram app users access Instagram every single day. That’s a lot of content consumption. That’s a lot of likes, comments, hashtags, and what have you. In fact, when measured in terms of per user engagement, it is easy to see that Instagram users behavior is more habitual. For example, with Facebook, many people have a love-hate relationship with the platform,. They would use ot habitually for some time until they read some rough updates. They don’t feel too good, and they swear off Facebook for a few days, a few weeks, or even a few months. Not so with Instagram. People not only use it every single day, but they keep coming back. In face, a lot of people check their Instagram feed every few hours. They don’t feel like they’re going out of their way when they use Instagram. It’s very easy to understand they dynamic because Instagram was programmed for the ground up as a mobile experience. This is a far cray from Facebook which, of course, was built primarily for the desktop. Since Instagram is a mobile-focused platform, it’s very easy for people to have some sort of seamless perception of it. It just becomes part of their daily routine. They treat Instagram the way many people used to read the newspaper first thing in the morning. It shows no sign of saturation because there are so many niches that can be promoted on Instagram. The bottom line is, as long a niche is photo or video-friendly or graphically intensive, there is an audience on Instagram for that niche. This is extremely important if you have a e-commerce website to promote. If you are selling any kind of merchandise, Instagram should be a part of your marketing strategy. There are no two ways about it. You are leaving a lot of money on the table if you skip Instagram. Sounds awesome so far right? Well, here’s the problem. Most people who try Instagram flat our fail. They really do. If you want to learn why this is the case, jump to chapter1. 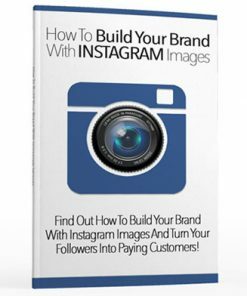 Ebook – 61 page PDF that gives the 6 steps to building a real following on Instagram. 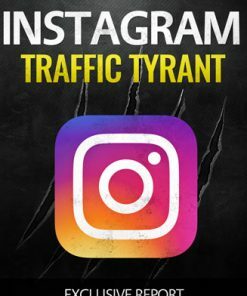 Goes into detail of how to use Instagram to drive more traffic and sales to your business. Since it comes in PDF format, you’ll know your buyers won’t have a problem consuming the content and finding success with their social media marketing. 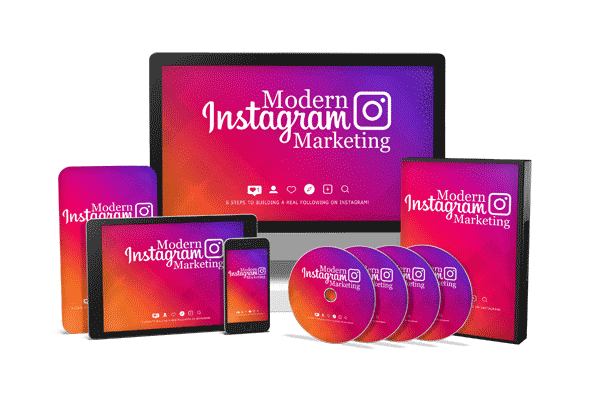 Reseller Kit – Includes everything you need to resell the Modern Instagram Marketing Ebook and Videos MRR book with a professional sales letter and matching download page. All you need to do is insert your payment link and your download link, upload and it’s ready to make you cash on automatic, even while you are asleep. Since the package comes with master resale rights, you get to keep all the profits on every unit you sell. Promotional Email Swipes – 5 pre written Modern Facebook Marketing Ebook and Videos MRR email marketing messages that will help you sell even more of your new product. Copy and paste into your autoresponder service and they are ready to work for you on auto-pilot. They come in Word DOC and plain text formats so you know they are easy to edit, change and customize as you need. 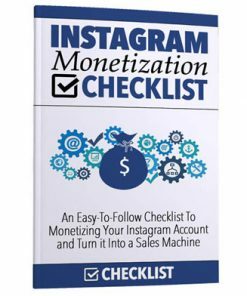 Cheat Sheet – 8 page PDF that gives your buyers a nice and easy way to follow the system and find success when it comes to marketing on Instagram. 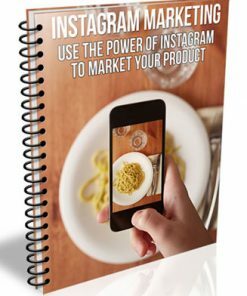 Mind Map – PDF that is a great visual that can help your buyers see the big picture and better understand the Modern Instagram Marketing Ebook and Videos MRR content. Resource Report – A 3 page PDF that gives all the steps of the Modern Instagram Marketing Ebook and Videos MRR with many related resources. Articles – 10 quality articles all related to marketing on Instagram, the right way. Copy and paste ready to use quality content for your blog or website, or even to post on your social profiles. Use them to create emails messages the easy way. Comes in easy to use Word DOC file and plain text formats. Titles are listed below. 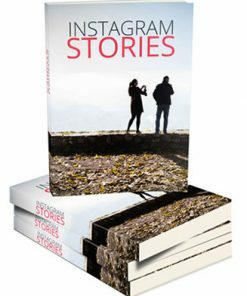 Social Media Images – 20 quality Modern Instagram Marketing Ebook and Videos MRR images with a image background and text quote overlay. Post them on your social profiles to drive even more traffic to your new sales page. You get both text overlay versions and blank images. Are Posts Time Really Important to Instagram Marketing? Of course not. You should know by now I try my best to go above and beyond. So… you’ll also be getting a huge Upsell or upgrade package that will help you make even more cash from this package and your buyers. It’s a built in sales funnel designed to put more money in your pocket. Best yet, the upsell content comes in even more desirable formats including video and audio so it’s going to be easier for you to get those extra dollars. And once set up, it works for you on automatic. Putting more payments in your pay pal account without any extra effort. 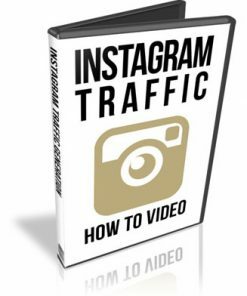 Videos – 12 professional video’s that cover the material in the Modern Instagram Marketing Ebook and Videos MRR book. You know how popular video is, so it’s sure to help you get more upsell payments because it is a desired format for learning. Of course they are all in the highly popular and easy to use MP4 format so you know they are easy to use. Upsell Sales Kit – You’ll be getting all you need to have an Modern Instagram Marketing Ebook and Videos MRR upsell and make more money from your buyers, including a professional sales page and a matching product download page. Just add your payment link and your product download link, upload the two web pages and it’s ready to earn you more cash per customer on auto-pilot. It’s a built in sales funnel and it’s easy to set up. 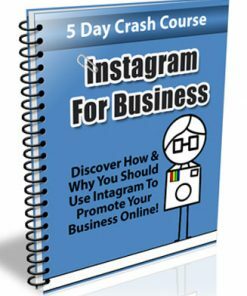 Promotional Emails – 5 pre written Modern Instagram Marketing Ebook and Videos MRR email messages designed to sell your upsell, Simply copy and paste into your autoresponder service and they are ready to do the market for you. So easy. All in easy to edit Word DOC and plain text formats, customize as you want and copy and paste them into your autoresponder service. 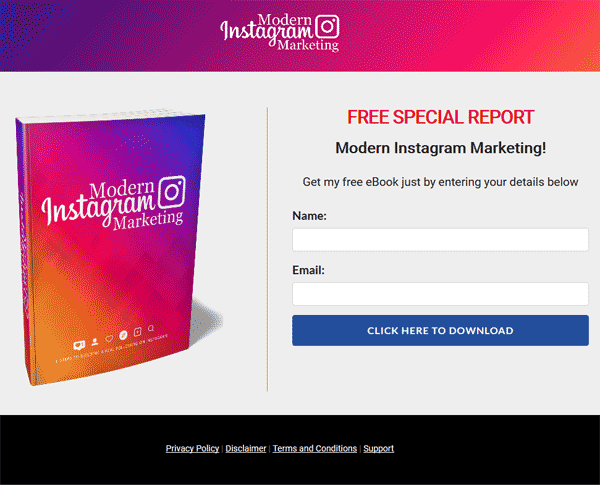 Give Away Report – 14 page Word DOC lead magnet entitled, “The 10 Main Reasons Why Most Instagram Marketing Campaigns Fail“, you can use with the above squeeze page to build a subscriber list. Gives them a taste of the content and leaves them wanting more, which can be your main ebook and your upsell. Create a profitable asset and extra marketing arm that makes you money into the future.. Also comes in Word DOC format so you can edit as you want. If you are selling any kind of merchandise, Instagram should be part of your marketing strate-gy. There are no two ways about it. You are leaving a lot of money on the table if you skip Insta-gram. Most people who try Instagram flat out fail. It’s easy to get excited about Instagram’s reach, user consumption patterns, and overall traffic volume. It’s very easy to get pumped up when it comes to those facts. You don’t have to follow the pattern most of your competitors go through. You can succeed, but you have to get your mind right. You know that you don’t have to pay all that much money to get a lot of results. 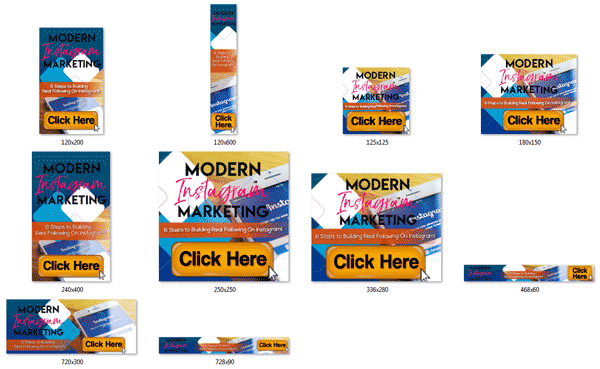 Fast Action Bonus #1 – Modern Instagram Marketing – Cheat Sheet – This cheat sheet is a handy checklist that makes it easy to get started. It breaks up the entire guide into easy-to-follow steps so that you can make sure you have all the highlights of everything covered inside right at your fingertips. Fast Action Bonus #2 – Modern Instagram Marketing – Mind Map – Some people learn better by looking at a mind map. The mind map gives you an overview of everything covered inside the guide. You can also print it out for quick reference anytime you need it! Fast Action Bonus #3 – Modern Instagram Marketing – Resource Guide – The Resource Guide gives you a quick point of reference to all of the resources mentioned throughout the guide. This makes it easy to plug-in and stick with what you’re looking for. 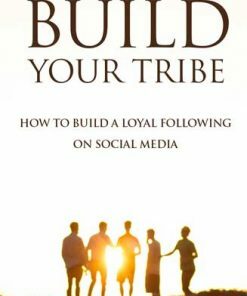 Although the guide you just purchased gives you a step-by-step approach to building a real following on Instagram, experience tells us that it requires learners to pay very close attention to the details to get the best possible results. Are you ready to learn all the skills you need to start building a real following on Instagram, a lot faster? To Make Things Happen a lot faster?